Most people are unaware of the ISO rating of their local fire department because they have no idea of what is, what it means or how it affects them. ISO stands for Insurance Services Offices and it is the organization that rates fire departments to determine how prepared they are to help prevent and to effectively fight fires. The ISO ratings go from 1 through 10. A 1 rating is usually only achieved in big cities. Seabrook’s rating had been a 3, but through hard work on the St Johns Fire Departments staff, the rating improved to a 2. To achieve this rating, the insurance company rating team examined a wide array of components of fire department operations. They looked at how much water was available to fight fires, the mutual aid agreements with other jurisdictions (that is why you sometimes see fire trucks from St James, City of Charleston, or other cities at our larger fires), the available equipment for fire fighting, and how much education and training the firefighters have. Community programs were also a large part of the evaluation. St Johns Fire Department provides the Citizens Safe program, large educational events for the public, fire safety programs in local schools and presentations by fire officials to local community groups. 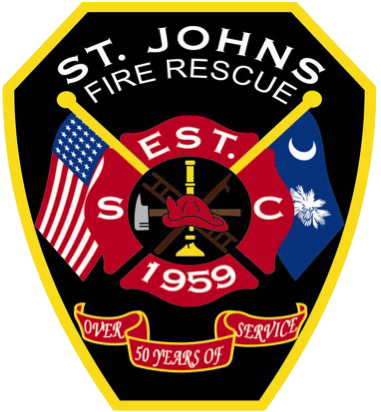 The ratings are done periodically and the St Johns Fire Department works hard to ensure that they have accomplished all the things that the raters are looking for. They use objective nationwide standards and all departments are rated using these standards. What does that mean to Seabrookers? Insurance companies use rating information to help establish fair premiums for fire insurance, generally offering lower premiums for fire insurance in communities with better protection. In many cases, they offer lower insurance rates for fire protection. Every insurance company is different, so it is important to check with your agent to see if you got a reduction.